Facilities include free computer use with Internet access and document downloading equipment at this hub. For more information about the hub you can call 07966 392467 or 01676 542753. 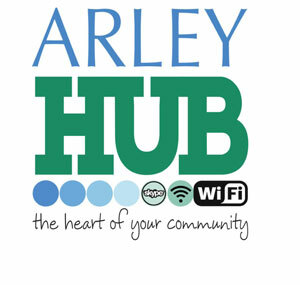 Email main@arleycommunitycentre.co.uk. Tweeters - Every Tuesday morning 10 - 12. Get help with using a computer and the internet, e-mails, shopping, on-line banking and much more! Arts and Crafts Group - Wednesday morning 10 - 12. Every Wednesday morning there is a community cafe with reasonably priced drinks and food.